Needless to say, I’m glad we’ve got a lot more variety and a lot less boxes in our diet nowadays. But I do still enjoy the convenience of a good one pot meal. 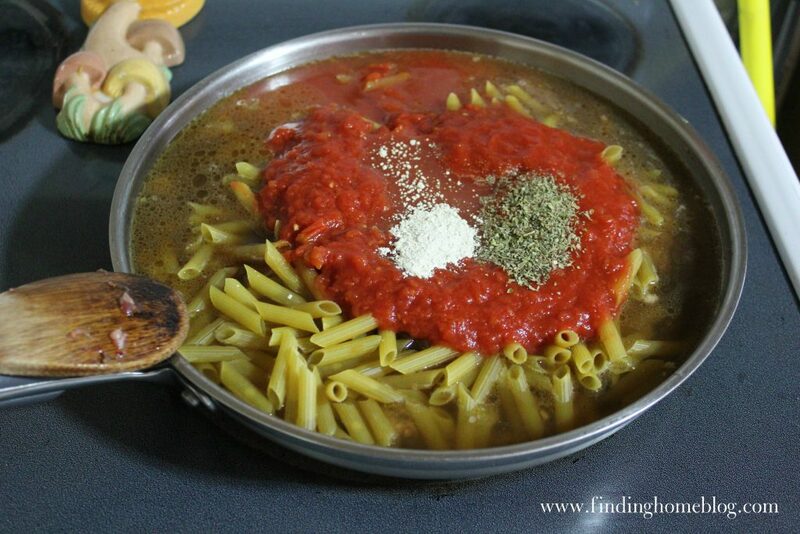 I like putting everything in my biggest skillet, and having a filling dinner ready to go in 20-30 minutes. This meal is like one of those boxed meals, but better. 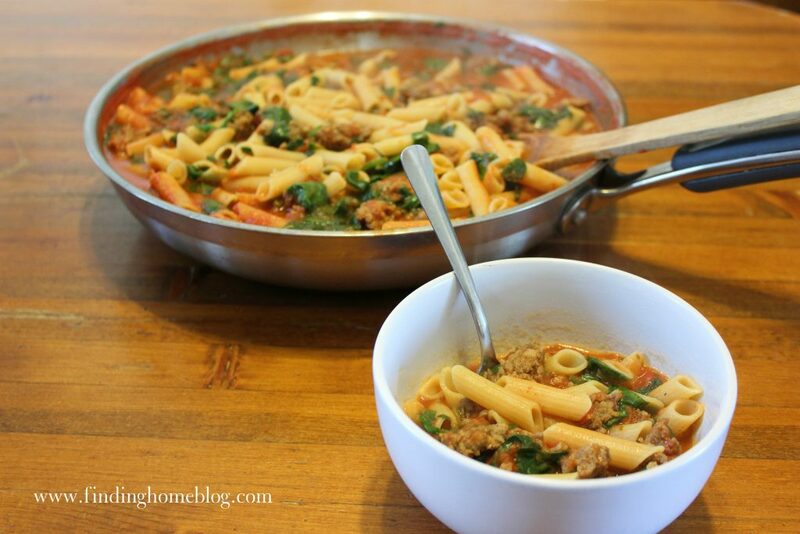 In large skillet or pot, brown sausage until cooked through. 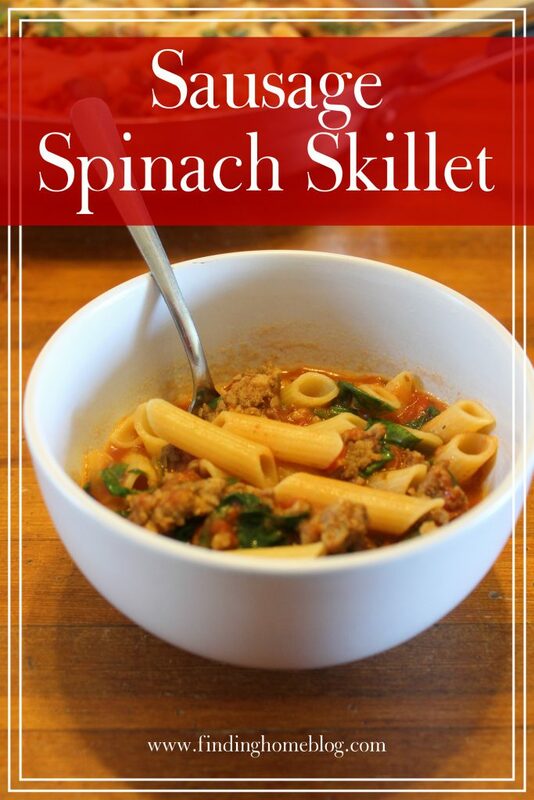 Add remaining ingredients except spinach and stir carefully to combine. Heat to boiling, then lower to a simmer and cook for 8-12 minutes, stirring occasionally, until your pasta is cooked but not overdone. You may need to add a little bit more broth or water while cooking. Add spinach during the last two minutes of cooking time. The sauce will thicken as it stands. 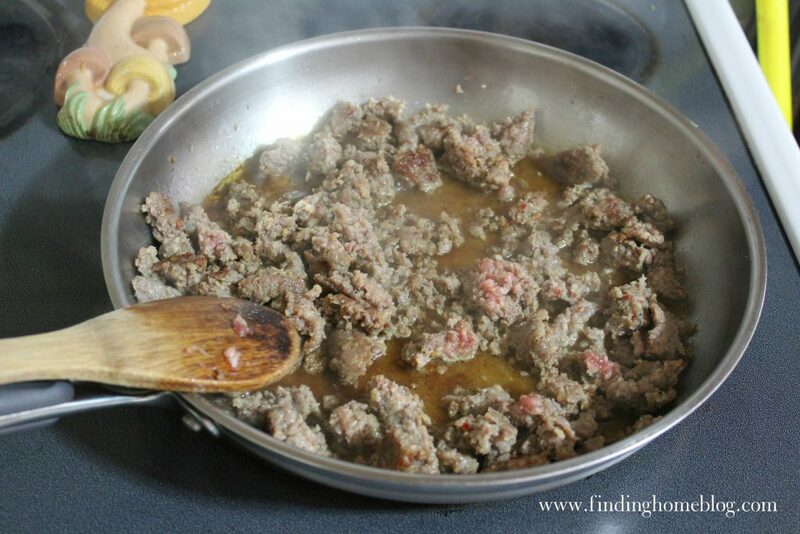 In large skillet or pot, brown sausage until cooked through. 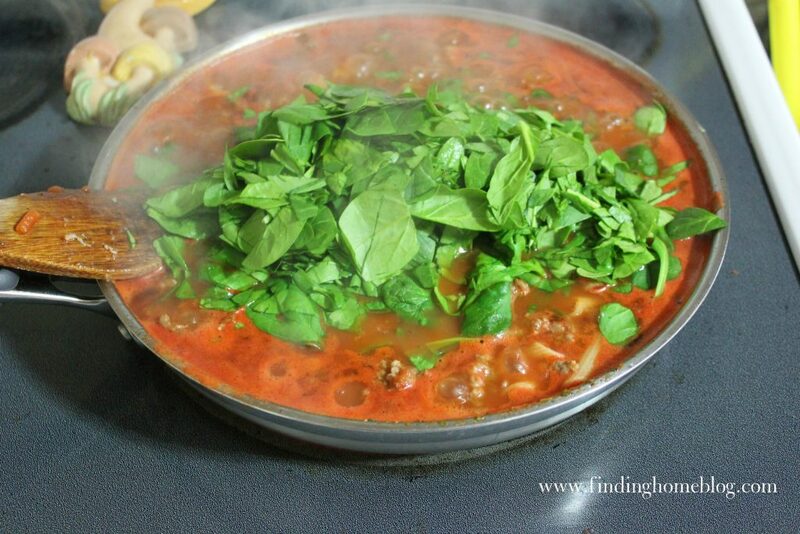 Add remaining ingredients except spinach and stir carefully to combine. Heat to boiling, then lower to a simmer and cook for 8-12 minutes, stirring occasionally, until your pasta is cooked but not overdone. You may need to add a little bit more broth or water while cooking. Add spinach during the last two minutes of cooking time. Just as easy as those helper meals, but a much nicer list of ingredients! If you’re looking for more homemade options to replace helper meals, check out Better Than a Box by Katie Kimball. You’ll find plenty of flavor options without all of the preservatives and questionable ingredients. Disclosure: Some of the links in this post are affiliate links. If you make a purchase through these links, I receive a bit of a commission at no additional charge to you. Thank you for your support!